Forum of Federations in partnership with the Ethiopian House of Federation organized a panel discussion on “A Conversation on Ethiopian and Canadian Perspectives With Canada’s Minister of Development”. 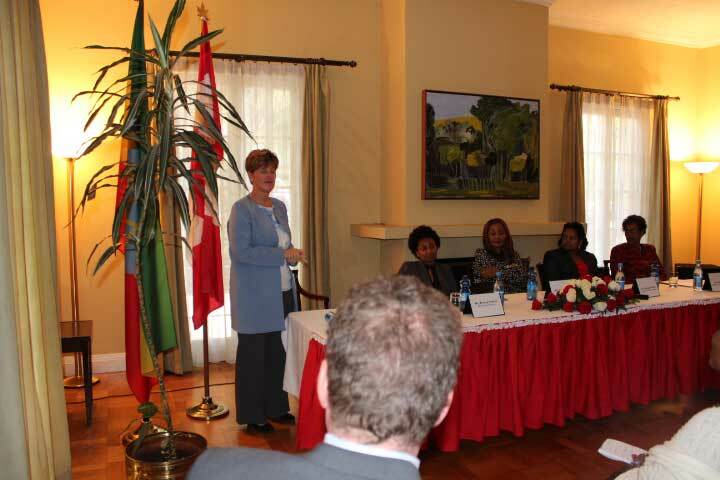 The event was hosted by the Canadian Embassy in Addis Ababa on 16th November 2018 during International Development Minister Marie-Claude Bibeau’s visit to Africa. In addition to Minister Bibeau, the panelists represented a cross section of Ethiopian polity including Semegne Wube, State Minister of Women, Children and YouthJustice, Rahel Baffie, Vice Chair of MEDREK (a coalition of Ethiopian political parties) and Zenaye Tadese, Board Chairperson of the Ethiopian Women Lawyers Association. This interactive session provided an opportunity for the visiting delegation and Ethiopian stakeholders to exchange experiences on the challenges and opportunities for bringing women in the positions of political leadership.